Lahti is a city and municipality in Finland.Lahti is the capital of the Päijänne Tavastia region. Kick off your visit on the 25th (Fri): let little ones run wild at Laune Central Park, then have fun at Lahti Sports Center, then examine the collection at Directions Lahden historiallinen Museo, and finally take a leisurely stroll along Vesijärvi harbor. For more things to do, ratings, other places to visit, and more tourist information, go to the Lahti trip planner . Colmar, France to Lahti is an approximately 10.5-hour flight. You can also drive. Due to the time zone difference, you'll lose 1 hour traveling from Colmar to Lahti. 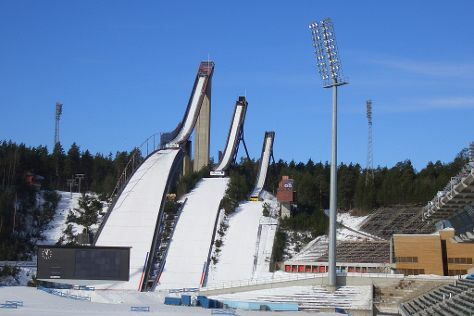 Traveling from Colmar in October, expect Lahti to be slightly colder, temps between 8°C and 1°C. Finish your sightseeing early on the 25th (Fri) so you can take a train to Lappeenranta. You'll discover tucked-away gems like World Heritage Site - Verla Groundwood and Board Mill and Wolkoff House Museum. Take a break from Lappeenranta with a short trip to Repovesi National Park in Kouvola, about 1h 20 min away. The adventure continues: take in the architecture and atmosphere at Church of the Intercession of the Mother of God, explore the activities along Saimaa Canal, examine the collection at Lappeenranta Fortress, and steep yourself in history at Lappeen Marian kirkko. To find other places to visit, where to stay, maps, and tourist information, read Lappeenranta online itinerary planner . You can take a train from Lahti to Lappeenranta in 1.5 hours. Other options are to drive; or take a bus. October in Lappeenranta sees daily highs of 8°C and lows of 1°C at night. Wrap up your sightseeing on the 28th (Mon) early enough to drive to Savonlinna. Start off your visit on the 29th (Tue): explore the historical opulence of Savonlinna Cathedral, look for gifts at Taito Shop Savonlinna, browse the fresh offerings at Savonlinna Market Square, then don't miss a visit to Pikkukirkko, then step into the grandiose world of Olavinlinna Castle, and finally see the interesting displays at Savonlinna Provincial Museum. 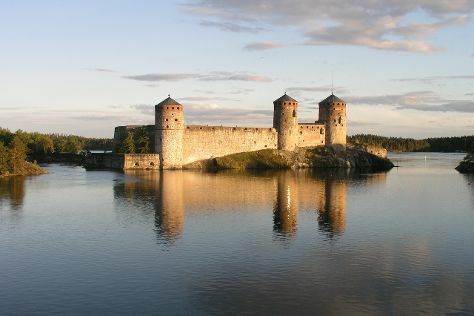 To see where to stay, reviews, traveler tips, and other tourist information, read Savonlinna trip itinerary builder . You can drive from Lappeenranta to Savonlinna in 2.5 hours. Alternatively, you can take a train; or take a bus. In October, daily temperatures in Savonlinna can reach 7°C, while at night they dip to 1°C. Cap off your sightseeing on the 29th (Tue) early enough to go by car to Joensuu. Joensuu is a city and municipality in North Karelia in the province of Eastern Finland. Start off your visit on the 30th (Wed): look for gifts at Taitokortteli, see the interesting displays at Pohjois-Karjalan museo Hilma, then explore the world behind art at Joensuun Taidemuseo Onni, and finally find something for the whole family at Treetop Adventure Park. Here are some ideas for day two: take in the spiritual surroundings of Pyhan Nikolaoksen kirkko, take in nature's colorful creations at Botania - Botanical Garden and Tropical Butterfly Garden, then enjoy the sand and surf at Honkaniemi Beach, then make a trip to Joensuu Church, and finally make a trip to Sculpture Susi Kosiomatkalla. For traveler tips, reviews, photos, and other tourist information, read Joensuu itinerary maker website . Traveling by car from Savonlinna to Joensuu takes 2 hours. In October, daily temperatures in Joensuu can reach 6°C, while at night they dip to 0°C. Finish up your sightseeing early on the 31st (Thu) so you can travel to Kuopio. Kuopio is a city and a municipality located in the region of Northern Savonia, Finland. You'll explore the less-touristy side of things at Room Escape Games and Kulttuurihistoriallinen Museo. There's much more to do: contemplate the waterfront views at Valkeisenlampi, get a sense of history and politics at Kuopio Market City Hall, immerse yourself in nature at Snellman Park, and enjoy breathtaking views from Puijo Tower. 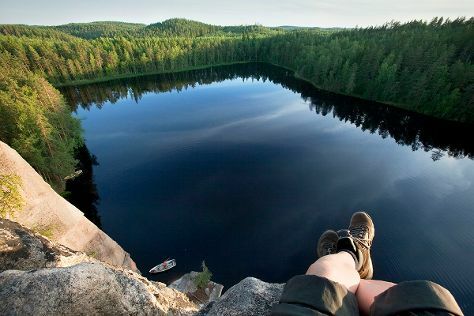 You can plan Kuopio trip in no time by asking Inspirock to help create your itinerary. Traveling by car from Joensuu to Kuopio takes 2 hours. In October in Kuopio, expect temperatures between 7°C during the day and 1°C at night. Finish your sightseeing early on the 3rd (Sun) to allow enough time to take a train to Jyvaskyla. Jyväskylä is a city and municipality in Finland and in the western part of the Finnish Lakeland. On the 4th (Mon), examine the collection at The Craft Museum of Finland, then stroll through Maki-Matin perhepuisto, then get a new perspective on nature at Natural History Museum of Central Finland, and finally test your problem-solving skills at popular escape rooms. 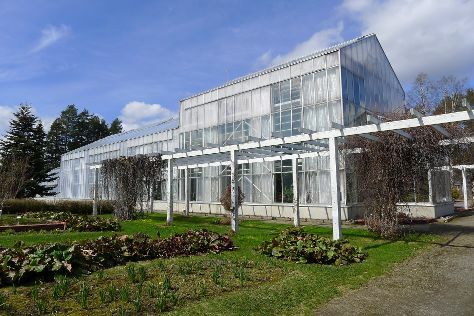 Keep things going the next day: tour the pleasant surroundings at Tourujoen luontopolku, enjoy the scholastic atmosphere at University of Jyvaskyla, then examine the collection at The Alvar Aalto Museum, then learn about all things military at Finnish Air Force Museum, and finally browse the exhibits of Kuokkalan kartano. For maps, more things to do, ratings, and more tourist information, refer to the Jyvaskyla trip planner . You can take a train from Kuopio to Jyvaskyla in 2 hours. Other options are to take a bus; or drive. In November, daily temperatures in Jyvaskyla can reach 1°C, while at night they dip to -2°C. Finish your sightseeing early on the 5th (Tue) so you can take a train to Tampere. Explore hidden gems such as Museo Militaria and Spas & Wellness. Change things up with a short trip to Birthplace of Jean Sibelius in Haemeenlinna (about 1h 20 min away). see Sarkanniemi Theme Park. And it doesn't end there: enjoy breathtaking views from Pyynikki Park and Observation Tower, examine the collection at Tampere City Library, Metso, enjoy the sand and surf at Rauhaniemi Beach, and contemplate in the serene atmosphere at Tampere Cathedral. To find more things to do, where to stay, maps, and tourist information, read our Tampere trip itinerary site . You can take a train from Jyvaskyla to Tampere in 2 hours. Alternatively, you can drive. In November, daytime highs in Tampere are 3°C, while nighttime lows are -1°C. Finish your sightseeing early on the 9th (Sat) to allow enough time to travel back home.